There may be more to Robert Mueller than meets the eye. 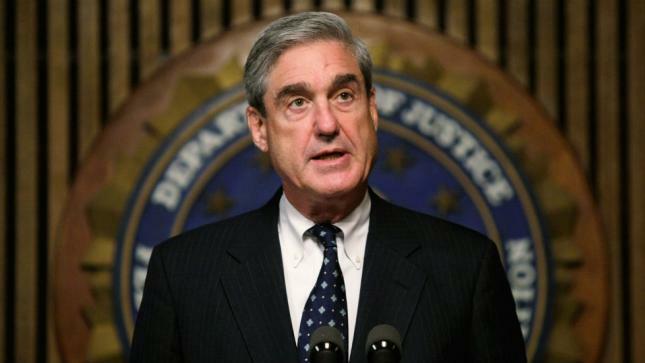 If one didn’t know any better, after hearing all the voices raised and words written in defense of Special Counsel Robert Mueller, his moral superiority, exemplary record of achievement and integrity in law enforcement and the justice system, you’d think that Mr. Mueller was above reproach, without any transgression, sin, or untoward history of less than admirable consequence. By all of today’s standards Robert Mueller would appear to be a paragon of virtue, a cop’s cop, a lawyer’s lawyer, and as of today democrats and some republicans would attest to his unwavering devotion to law and order. But there may be more to Mr. Mueller, as some of his past endeavors come to light. Stemming from the findings of the Church Commission, which discovered the scandalous events under a powerful J. Edgar Hoover who served as FBI Director from 1935 to 1972, in 1976 the Congress passed a law limiting the tenure of the FBI Director to 10 years. However at the behest of then-President Obama, the congress issued a special dispensation allowing the former US Attorney in Boston, now FBI director Mueller, 2 extra years to serve. It is while Mr. Mueller was the US Attorney that the “Whitey Bulger Case” came into the public domain. After 15 years avoiding the law, Whitey Bulger was found in California and extradited back to Boston to be tried for running a crime empire and for having committed multiple murders. Prior to this Mr. Mueller was an attorney in the Massachusetts Department of Justice and oversaw the FBI Bulger criminal operation. At the time some believed that the FBI had a special relationship with Bulger who was thought to be an informer, and who was allowed to ply his lawless trade as an incentive for information. Some believe accusations against Mueller are conjecture, others have accused him of wrongdoing stemming from four men, who although on the wrong side of the law themselves, being tried and convicted of a murder that many believed they did not commit. It is contended that some years later when a parole hearing was scheduled for two of the accused, the two others died while incarcerated, Mueller wrote to the board to deny parole, possibly knowing these men were innocent. In 2001, immediately following September 11, there was an anthrax attack which took 5 lives and infected 17. Congress was adjourned, the Capital was shut down and mail delivery was interrupted. It is believed FBI Director Robert Mueller and his friend and ally at the time James Comey, Deputy Attorney General, under then-Attorney General John Ashcroft, botched the investigation. At the time a jihadist group took responsibility for the attack, but this received little acceptance. It was believed by most that the Mueller-Comey investigation ignored information from a noted scientist who advised them that a colleague of his, Bruce Ivins of Fort Detrick, who had been previously diagnosed with paranoid personality disorder, was the anthrax killer. Many believed that under political and media pressure, Mueller and Comey, without any evidence, set their sights on another scientist, Steven Hatfill, a Virologist with no expertise with the anthrax bacterium. Eventually Steven Hatfill, who was publically humiliated, had his reputation shattered, and whose life was professionally destroyed, was proven innocent. In 2008 the government settled a lawsuit and awarded Hatfill 4.6 million dollars. There was a nonprofit journalism organization, the Florida Bulldog, that discovered an FBI investigation into the Saudi family that the congress was not aware of, and that Mueller tried to discredit. Judicial Watch, however, goes on to say that “the reality is that the FBI’s own files contained several reports that said the opposite.” Although the Florida Bulldog was unable to obtain the FBI’s files under the Freedom of Information Act (FOIA), they sued in court and won, and the FBI was forced to open their files, revealing many connections between the Saudi family and attackers. As I stated previously, some will refuse to believe that Mr. Mueller is capable of these infractions and untruths that would tarnish his sterling reputation. But the facts are out there, attested to by a number of reliable sources: Wall Street Journal, Boston Globe, New York Post, The New American, Global Research Center, etc.